This week’s episode of Out Now with Aaron and Abe takes a step back into the campy direction of a cult classic soap opera. 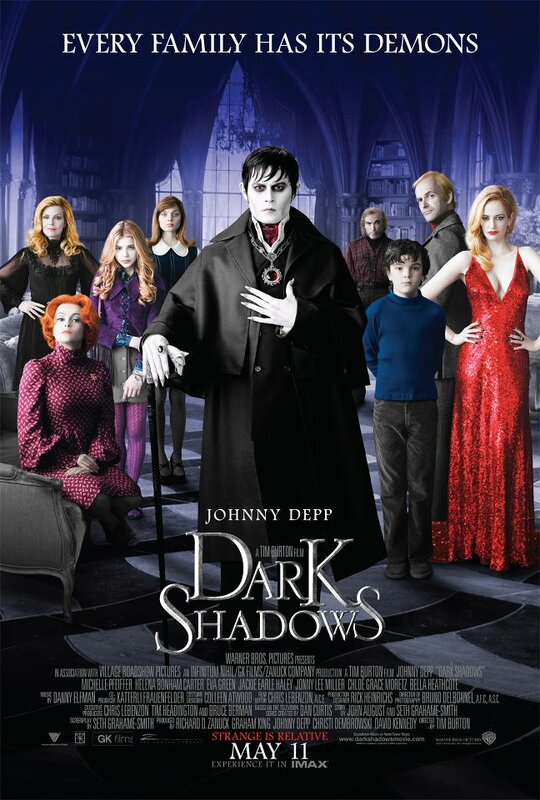 Adam Gentry (and, briefly, a very special guest) join Aaron and Abe to discuss the new Tim Burton/Johnny Depp film, Dark Shadows, a theatrical remake of the old TV series of the same name. Is this strangely fitting for a Mother’s Day episode? Maybe. Still, the gang does get a chance to go over a couple new trailers (Gangster Squad and The Campaign), as well as participate in the regular segments, including “Know Everybody”, “Movie Callback”, Box Office results, and the return of one of the older games. Plenty of supernatural goodness this week to enjoy. Check out our Sites and Blogs: The Code Is Zeek, Why So Blu, Walrus Moose, Things I Know About The Movies, Movie Smackdown!